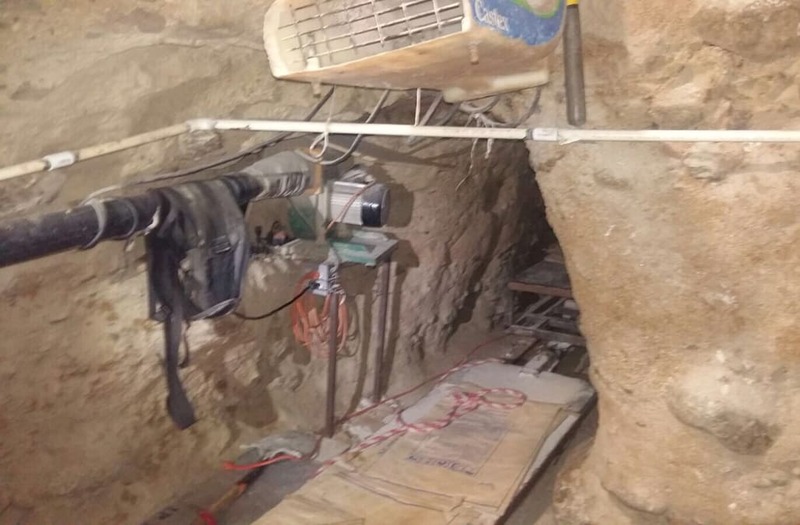 U.S. authorities say they've discovered a tunnel in California used to smuggle people across the U.S.-Mexico border. U.S. Customs and Border enforcement agents say the tunnel looks like an extension of an older tunnel Mexican authorities had seized before. Which makes sense. Mexico says it doesn't have the money to fill in the tunnels it finds, so the country just seals the entrances, leaving the rest intact. Most tunnels on the border are used to smuggle drugs. Leaving them intact means it's easier for cartels to just build new entrances and reclaim tunnels on the Mexican side of the border. It's cheaper, too: A new tunnel can cost the cartels between $800 thousand and $1 million. The U.S. side of this particular tunnel is likely to be filled in soon. Once they've been cleared, authorities fill tunnels with cement, but only up to the Mexican border.